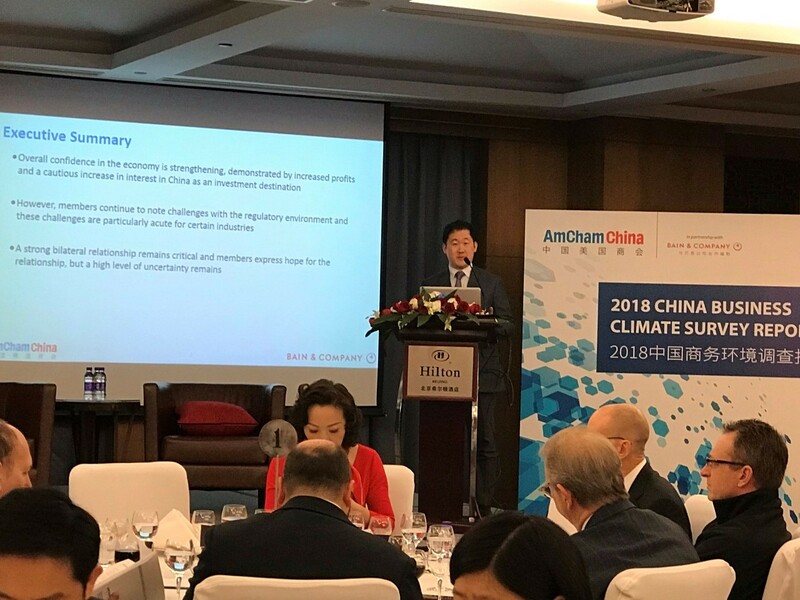 Beijing – January 30, 2018 – Confidence within the American business community toward China`s economy is strengthening, despite significant concerns about the regulatory environment, according to a new survey released today by the American Chamber of Commerce in China in partnership with Bain & Company. 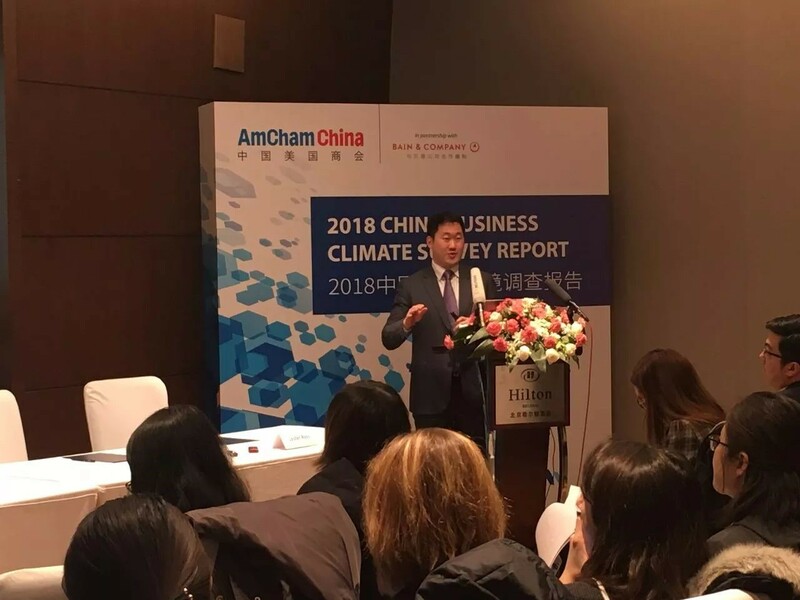 The 20th edition of the China Business Climate Survey Report also shows increasing optimism in U.S.-China relations despite the possibility of Trump Administration action against Chinese trade and investment practices. Some 36 percent of respondents believe relations between the two countries will improve this year, compared with 17 percent last year, possibly influenced by the perceived success of President Trump`s visit to China and that of President Xi Jinping`s earlier trip to the U.S. Increased regulatory fairness, predictability and greater transparency are the steps respondents say would have the greatest impact on their level of investment in China. Specific reforms members would like to see include greater access to officials and consistent implementation of national policies at the local level. 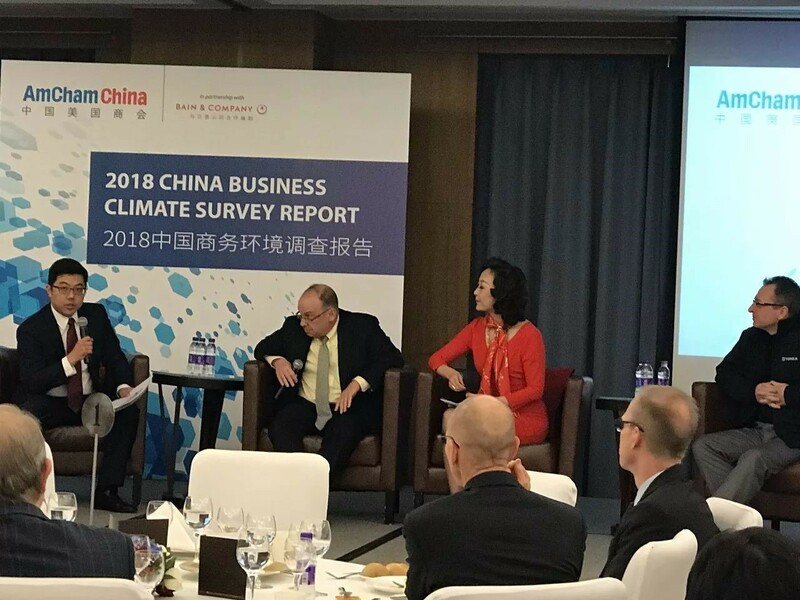 Some 46 percent of respondents are confident the government will further open China`s market to foreign investment within the next three years, up from 34 percent last year.